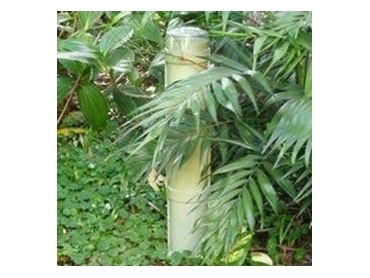 Termite Trap offer proven termite control systems which remain effective for up to 10 years. These pest control systems feature a clear observation window which has brought do-it-yourself termite management to ordinary homeowners. Standing up this far out of the ground means there is more room to hold more termites and, the more termites the user doses, the more certain they can be of success. Once termites get in through the slots below ground level, they find it is already loaded up with easy-to-harvest cardboard. Scouts find the termite control systems by sensing the source of carbon dioxide from the cardboard decaying slowly in the damp soil. These are the dose-sized treatas for termites. When they are found in the Termite Traps, the user adds a feeder to the top of the Trap(s) that show the ‘mud’ signal. If users have discovered live termites inside the house, a post or framing timber in a shed, a fencepost or a retaining wall, they fix a feeder to the outside of the timber and allow termites entry into the ‘porridge’ mixture through a hole made in the bottom. Most colonies require multiple doses. If the same colony is fed from two or more traps or from a few places in a building, more ‘porridge’ gets back to the nest more quickly and the nest is killed faster. This termite control process usually takes a month or more but it is a sure way to eliminate a colony.